Play It rubber surfacing for play areas boasts unlimited color combinations and seamless graphics, allowing your playground to be a palette for creative expression. 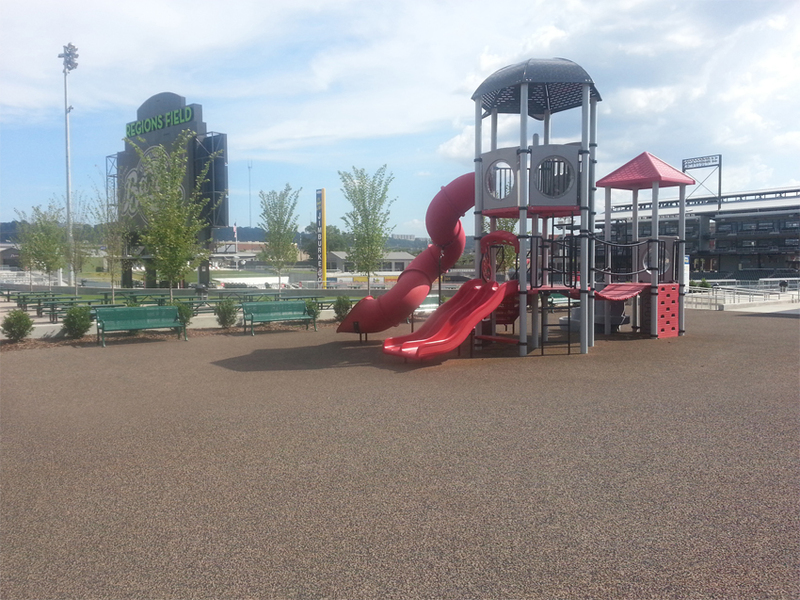 Play It offers two unitary rubber playground surfacing options - poured-in-place and bonded rubber - both of which provide some of the safest, most effective playground surfacing solutions on the market today. Poured-in-place is a combination of colored EPDM rubber granules over a cushion layer of black recycled SBR rubber shreds. Mixed with a liquid binder, each layer is poured in place on-site, providing a continuous surface for a variety of applications. 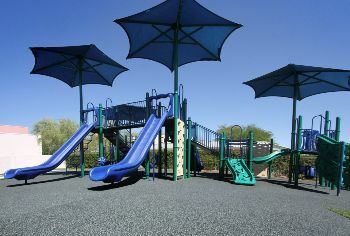 Bonded Rubber Mulch is a single layer of organically pigmented recycled SBR rubber mulch. Like poured-in-place, it is also mixed with a liquid binder and troweled out on-site to create a continuous surface. Get the process started by filling out our contact form and letting us know a little bit about your project.